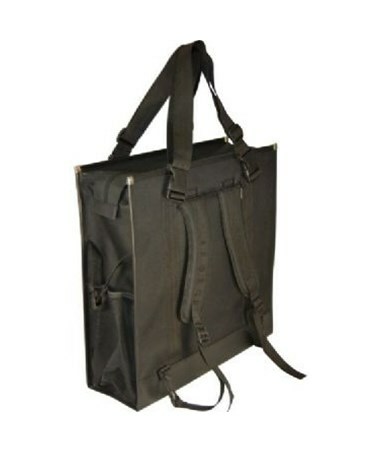 The Prestige Backpack Easel Bag is an ideal carry bag for all artists, designers, and other professionals on the go. 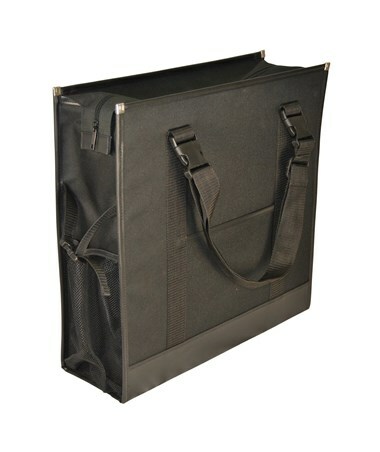 It offers a large 16 ¾"W x 16 ¾"H x 5 ¼"D cargo space inside and an array of storage for different materials including a plastic tool pouch for carrying smaller objects and an elastic cross strap for holding larger items. It also comes with an adjustable stabilizing straps for carrying tubes. 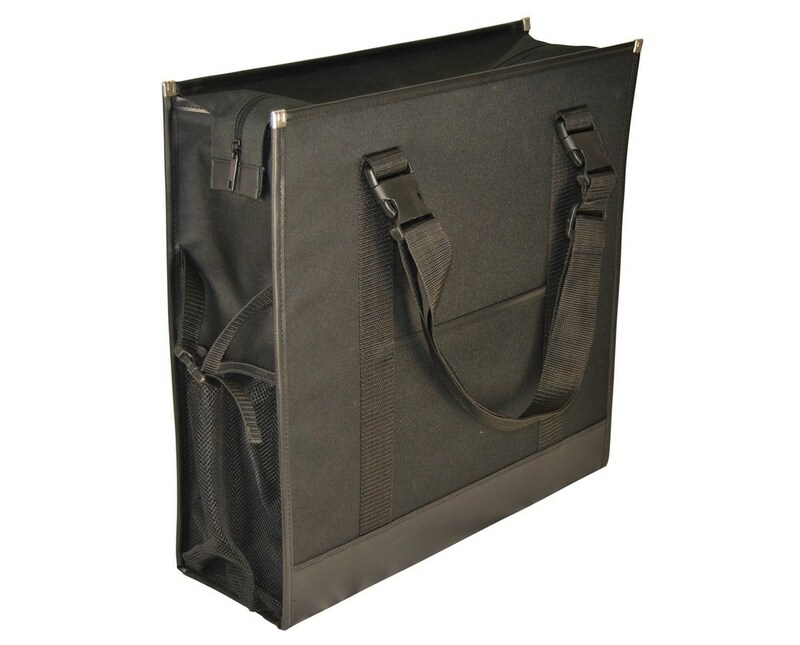 This backpack easel bag is equipped with a 7 ¾"W x 6 ¾"H outer pocket and side mesh packets for other supplies that require easy and quick accessibility. With its two adjustable shoulder straps that can be detached or can be used as handles, it is versatile and convertible to a back pack, a shoulder bag, or a handbag. It features a zippered pocket for the backpack straps when they are not in use. 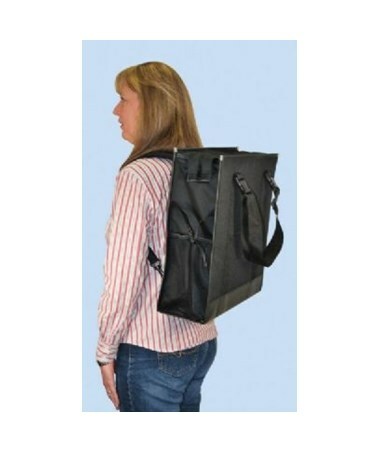 The Prestige Backpack Easel Bag has overall dimension of 17 ¾"W x 17 ¾"H x 6"D and can fit most box easels and drawing boards. It has a reinforced leather-like bottom to ensure the safety and protection of its contents. It comes in black color.